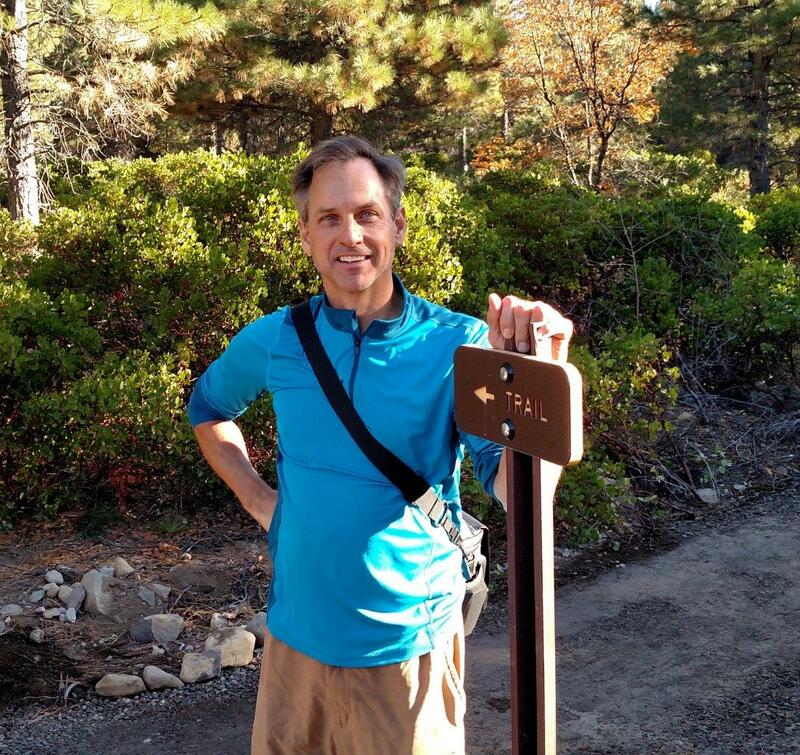 The Mount Shasta Trail Association is happy to announce that Paul Schwartz has joined its board of directors. Paul Schwartz comes to Mount Shasta from Chico, California where he grew up. While in Chico, he met his wife Kim, who is a 4th generation Siskiyou County native. Paul received his bachelor’s degree at the University of Pittsburgh and earned his master’s degree from the University of Kentucky. In 1993, Paul and Kim moved to Mount Shasta. They have two college-aged children. Paul is a physical therapist and manages the Therapy Services Department at Mercy Medical Center Mount Shasta where he has worked for the past 25 years. He has been involved in the community in a variety of ways over the years, from the volunteering for the 4th of July Run/walk with the Mountain Runners, coaching youth sports, leadership in his church, and as a Scoutmaster with Troop 97 (his son earned his Eagle Scout). Also, he was a member of the Mount Shasta Union School district for 12 years, serving 7 years as the board president. Being outdoors is a constant pursuit for the entire family. On weekends and after work you can find Paul hiking, biking, and running on local trails. He has been crazy enough to run local ultra trail runs, and has completed the local Headwaters 50 kilometer run three times. Being involved in the community has always been important to Paul and he hopes to contribute to the work of the MSTA to help build sustainable opportunities for exploring and enjoying the splendor of the great outdoors that we are fortunate to call our “backyard”.